Many business owners are looking for a way to free themselves from the high cost and inflexibility of conventional telephone services. IP PBX telephony offers businesses the advanced telecommunication network they desire in one cost effective package, allowing smaller companies to take advantage of services and features hitherto reserved for their larger counterparts. If you have been disappointed in your telephone service, and have been looking for a cost efficient alternative to conventional telephony services, IP PBX may be just what you’ve been looking for. An IP PBX telephony system uses the internet as a carrier for voice and data traffic. Calls are sent as data packets over an internet protocal network, eliminating the need for the costly hardware and installation commonly associated with conventional land lines. An I PBX telephone system consists of SIP (Session Initiation Protocol) ready phones, an IP PBX server, and VoIP gateway which is used to connect to a PSTN or public switched telephone network. The IP PBX can be used to connect internal calls as well as routing all external calls using the VoIP gateway. IP PBX telephony offers business a wide range of benefits, from cost efficiency to greater productivity and increased flexibility in the workplace. That’s why so many business owners are choosing IP PBX telephone systems over their conventional counterparts. Let’s look at just a sampling of the advantages that IP PBX telephony has to offer. 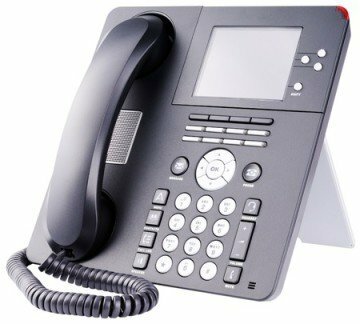 An IP PBX telephony system is easy to install and configure. Because IP PBX runs as software on a computer network, installation does not require specialized training in a proprietary phone system. Anyone with a working knowledge of computers and networks should be able to install an IP PBX quickly and easily. Again, because an IP PBX telephony system is software based, it is easy to configure and manage using the web based interface. Proprietary phones systems have interfaces that can only be managed by specially trained technicians. An IP PBX telephone system allows users to easily connect IP ready phones to a standard computer network port. Soft phones can be installed directly onto a network connected PC. Excessive phone wiring becomes a thing of the past, making it easy to add or move extensions. Converting to an IP PBX telephony system allows you to use a VoIP service provider for all of your local and long distance phone calls. This will save a substantial amount in longs distance fees. If your business has multiple offices in a variety of locations, those branches can be connected through your IP PBX system making inter-office calling free. With a proprietary telephone system, adding extensions or additional phone lines can be complicated and expensive. With an IP PBX telephony system a standard computer can handle multiple phone lines, and new lines and extensions can be easily added using the web based interface. Because your IP PBX system is software based, it is easy to add more features to you phone service. The VoIP service allows for a wide range of telecommunication features, including voice mail, auto attendant, conference call and more. These are features that typically raise the cost of conventional phone service. Employees who work from home, or in the field, can remain connected to their office’s telephone system. Because an IP PBX used SIP protocols, telephone calls can be delivered anywhere at anytime. This allows for greater flexibility, and increased productivity, both in and out of the office. Converting to an IP PBX has helped many business owners save money on their telecommunications infrastructure. Start ups and established businesses can all take advantage of the many benefits that IP PBX telephony has to offer. Beyond simply saving money, an IP PBX telephony system offers the features you need to make your business more competitive, and your employees more productive. If you have been dissatisfied with your current telephone service, IP PBX may well be the answer you’ve been looking for.